The first week of January guarantees two things. Health Clubs crammed with people who swear that this will finally be the year they stick to their new year’s resolutions, and reports of high-profile underclassmen declaring for the NFL draft. Alabama running back Mark Ingram and defensive lineman Marcell Dareus declared Thursday, and Friday morning came reports that Arkansas quarterback Ryan Mallett would also skip his final year in school and enter the draft. 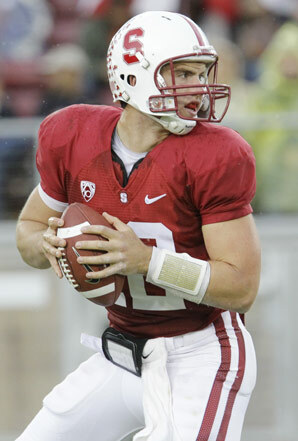 But Stanford quarterback Andrew Luck is sticking around. All season Luck proved that if he’s not the best quarterback in college football (that guy plays for the national championship Monday night), he’s definitely the most NFL ready. And with the Carolina Panthers slated to pick first in this April’sdraft most experts pencilled in Luck as the top selection. Yet he opted to remain in college, and the praise he earned for his decision was predictably simplistic and syrupy. We’re supposed to celebrate Luck for choosing the abstract yet intrinsic value of an education over the concrete yet superficial value of an NFL contract, because that choice allegedly proves he’s full of character and integrity, words that normally ring hollow when you mention them in connection with for-profit college sports. But I couldn’t praise a decision I found so puzzling. High level football is a savage sport, and not something a grown man should do for free if he doesn’t have to. And if you have an opportunity to make big money playing you take it, because nothing is guaranteed. A bad senior season can cost you millions, or have you not heard of Jake Locker? And not even the NFL. Labour unrest is a very real issue, or have you not noticed the NFL is moving with all deliberate speed toward a lockout? So since none of us really know what’s inside Andrew Luck’s heart we have to consider the possibility that this perplexing decision was equal parts calculated and character driven, and motivated by something other than his degree. Because college isn’t just about walking out of there with a piece of paper. It’s about gaining the skills and most importantly the credentials and connections to help you succeed in the job market. At some level we all understand that. If the New York Times had offered me a full-time job after my junior year at the Greatest J-School on The Planet, nobody would have criticized me for seizing that opportunity. Instead people would see me for what I was: not a college dropout but a guy seeking a challenge and a paycheck unavailable on any campus. 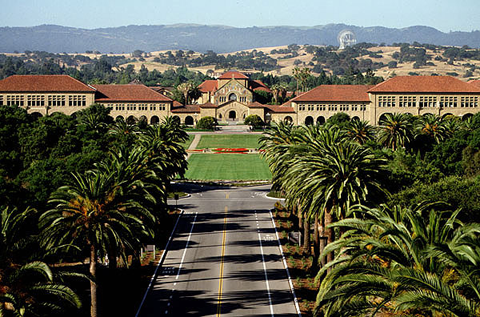 Whoa, this is Stanford's campus? I'd be tempted to stay, too. So how would Luck be any different? His stats — 3,338 yards, 32 TD and a 170.16 passer rating — say he’s ready for the NFL. Meanwhile, Carolina’s anaemic air attack — 2,635 yards and nine TD total — screams that a spot as a starter awaits him in Charlotte, along with a greater challenge and salary than the Pac 10 can offer. Isn’t that the kind of opportunity we want coming out of college? And isn’t that the kind of cash? Isn’t it okay to delay your degree for $50 million guaranteed? For Luck to walk away from that much money makes me think the factors influencing his decision run deeper than his desire to graduate on time. Luck might really be fixated on earning that architecture degree, but he might also be wary of sitting out an entire season then having to compete against 18 months of rust and a double cohort of rookies training camp in 2012. Besides, if Luck opts out the NCAA then gets locked out of the NFL he winds up back at Stanford trying to finish his degree without a scholarship. And if it’s not about the lockout it might be about the Panthers, who won just two games in 2010 and have few prospects for immediate improvement beyond landing Luck in the draft. Add in an owner who seems resigned to a lockout and you can understand why Luck would elect to sit out a year and hope the draft deck reshuffles. Luck wouldn’t be the first Stanford QB to find a way not to play for the worst team in the league even though he was the hottest prospect in the draft. Maybe Luck's just following Elway's example. 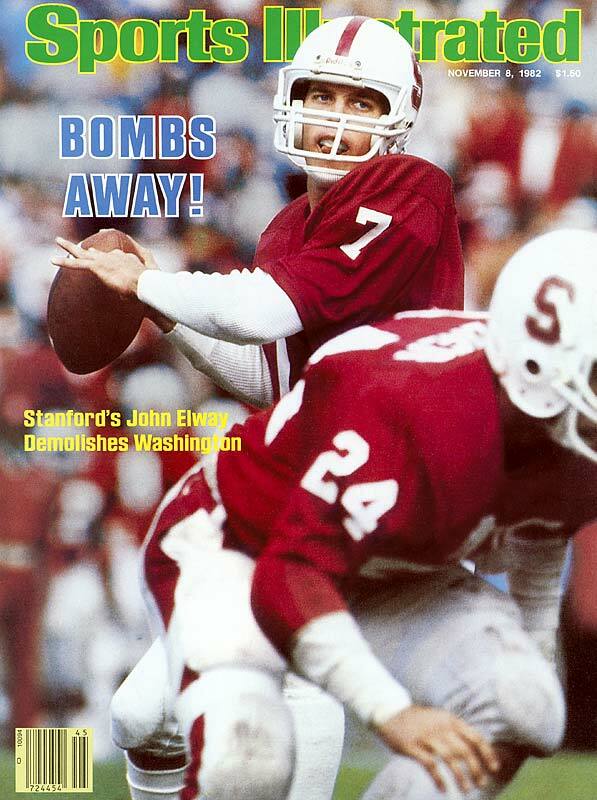 John Elway did something similar when the Colts drafted him first overall in 1983, threatening to play pro baseball rather than report to Baltimore, and forcing the trade that sent him to Denver. Luck doesn’t have pro baseball as leverage, but he has his scholarship. And if he’s using it to find a better situation — because improving his draft spot is impossible — then a seemingly inexplicable decision to return to school suddenly makes more sense. If you believe in Luck’s rigid commitment to a Stanford education than you have to believe he’s incredibly bright because, after all, we’re talking about Stanford. But if you believe he’s smart enough to excel at Stanford you also have to accept that he’s sharp enough to see all the angles to this situation and work them to his advantage, even if it means playing for a scholarship instead of a salary. Not saying I’d do it myself, but I understand. ← Roethlisberger? Engagement? Are we sure he’s qualified? Love this new blog. The NCAA and I believe private companies now offer insurance for elite college athletes, and being the son of an NFL Quarterback I doubt those policies are unaffordable for him. Also, having always had money I don’t know if it is that important for him. I’m not sure how much these policies insure you for, and It’s probably nowhere near the guaranteed money in the NFL, but I’m sure this also weighed in on his decision. He may also have a little insight on the head coaching situation.